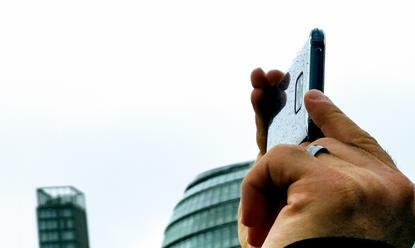 Speaking to journalists at the launch of the Huawei Mate 20 and Mate 20 Pro in London, a spokesperson from Leica suggest that Huawei might not be shipping a quad-lens smartphone anytime soon. Leica's Dr Florian Wieler says that "if we could do the same that we do here with our new smartphone with two cameras, we would do two cameras. If we do not need more cameras, we will not implement more cameras. It's not that we're aiming for as much cameras as possible." "We are always going for the best image quality and the most versatile portrait mode you can get on a smartphone." The comments come as more vendors ramp up on the multi-lens smartphone cameras that have become popular among recent years. The Huawei's P20 Pro's triple-lens setup garnered acclaim, attention and commercial success earlier this year and since then we've seen quad-lens cameras and even murmurs of a five-lens powered Nokia device. Still, Weiler says that "If we see a point where we can implement a good quality camera into the smartphone and it gives us a chance to improve the image quality we will do but it's one [thing] to implement as much cameras as possible. It's easy to implement a small camera in a smartphone, we could stick in maybe five or six cameras. But to have a really high quality camera which has an excellent lens and a very large sensor, it's a different type of dilemma." PC World Australia traveled to the UK as a guest of Huawei.